Want to capture people’s attention on social media? Make sure you’re using visual content (buh-bye text-only posts). Since most people are visual learners, visual content is hugely important if you want to succeed with social media marketing. Let’s go WAY back to the cave man era… even cave men & women used pictures to tell a story. Simply put, it takes the brain longer to comprehend words. In fact (and isn’t this a sign of the times? ), according to research by Webdam, verbal intelligence is dropping, while visual intelligence is rising. The average time before a person loses interest scanning a social media post is a mere eight seconds. Eight seconds!! You’ve got to make those seconds count… and make them pleasing to the eye while you’re at it. Those who follow your business on social media have learned to overlook the ads running along the side of the page. They quickly scan your post for interesting, eye-catching content. Hello, cool pictures (or even better, video!). 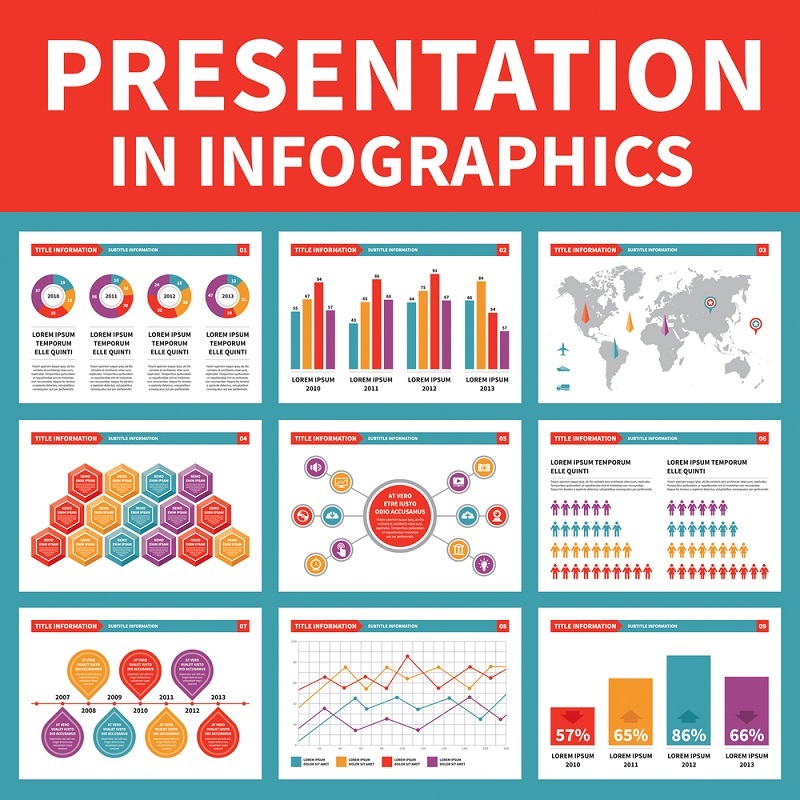 Presenting information in infographics is an easy and visually appealing way to get your point across. You can share reports, survey results or any quantifiable data in a format that tells a story with a picture. Infographics can contain a lot of value-added data that will fit into one post, and they’re easily digestible for your readers. Infographics can also be used to visually repeat material from older posts without appearing redundant. According to Livestream, 80% of audiences would rather watch live video from a brand than read a blog. 82% prefer live video from a brand to social posts. And 78% of online audiences watch video broadcasts on Facebook Live. Remember TV? Yeah, not anymore… it’s all on social media these days. Each type of social media uses a different method for video posting, so you’ll need to edit, format and optimize your videos accordingly. The video needs to be shareable. Studies have shown that emotive content (whether positive or negative) gets shared. Amuse your viewers, inspire them, illuminate them… or (on the more negative side), shock them, introduce some controversy… or do like the TV news folks do and evoke fear. That’s the stuff that gets shared (like it or not). Videos need to be authentic. They need to engage the viewer with the story you’re telling. Presentations, particularly SlideShares, are a very versatile form of interactive visual content on social media. Multiple images can be collected in these presentations to use in other posts, as well. If you use the SlideShare embed feature to insert your presentation into a blog post, you can use these social media updates to direct traffic to your blog. A lot of you may not think to use presentations in your social media, but if they’re high quality and focused on a relevant topic, they can encourage engagement among your followers. 4. Charts and Data Visualizations. A chart or other graphical presentation of data can do a good job of helping your followers visualize analytical or statistical information. If you’ve got a difficult concept to share, a data chart might be just the thing you need. Your followers can see patterns, trends and correlations that are simply too difficult to describe with text. And you’ll help people better grasp difficult concepts. Don’t be afraid to use these in your social media, especially if your company has important data to report. Yeah, yeah… we know… you see a lot of these on the web. But sometimes a picture just tells a better story. If you can dress up your text with a cool stock photo, then go for it. You can find free images all over the web, but you need to be careful to check out the copyrighting aspect of them. Hootsuite has collected 20 stock photo sites to assist in this area. These are sites you can legally use for your social media images. There are also many photo sites that charge a nominal fee for their images. 6. GIFs, Emojis and Memes. Emoticons (emojis), Graphics Interchange Format files, (GIFs) and funny stock images (memes) are fun and effective methods of providing visual content on social media. However, you need to decide if they are appropriate for your target audience. If you’re trying to attract young adults and teens, then they are great tools. But if they don’t make sense to your brand then you should avoid them. Las Vegas SEO for Growth has the expertise to fine-tune and optimize your overall marketing plan, as well as your social media strategy. We can evaluate your overall goals and objectives and provide a plan that will help you to succeed in today’s competitive online market. Contact us today to learn more!